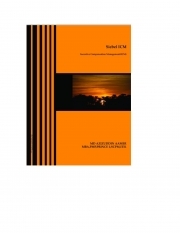 Description of "Siebel Incentive Compensation Management ( ICM ) Guide (eBook)"
This book contains information about Siebel Incentive Compensation Management ( ICM ) in detail. It describes Siebel ICM Architecture in detail. It describes process flows. It also describes ICM Configuration & Administration in detail. Reviews of "Siebel Incentive Compensation Management ( ICM ) Guide (eBook)"